Splendour Interiors is an Interior Design firm as well as a multi award winning Home Furniture Store. A company that is dedicated to exceeding your expectations in providing a unique design solution for your total needs. We aim to provide you with a design that reaches the optimum balance of visual character, function, flexibility and cost effectiveness while still creating an ambiance and overall harmony that blends with the surroundings of the environment to create the ultimate design solution for you. We persevere to ensure that our products are of a very high standard and quality, while still remaining at a reasonable price. It is very important to us to promote and support Australian made products and particularly helping to showcase local talent of designers and artists within our community. 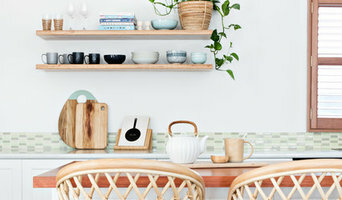 Mint Interiors Co. is an Interior Design and Colour studio based in Wollongong. We create beautiful and functional interiors, exteriors and commercial spaces. We believe the spaces that surround us effect the way we feel, think and live our lives. Creating beautiful, functional spaces is our passion and we strive to make yours, the best possible reflection of you. At Home Interiors, can take your vision and turn it into a reality. Our philosophy is to create incredibly beautiful living spaces that reflect our clients own unique tastes, personalities and lifestyles. Every Client we see is given the very best personalised service offered by our dedicated team of professional trades. We pride ourselves on the highest quality of workmanship and guarantee you'll be satisfied when your project is completed. Cris will join you on your design adventure and assist in the creation of your home or business. Oser Design is a residential interior design and styling company run by Brigette & Rachel. Our aim is to take the stress and anxiety out of making design decisions when it comes to building or renovating. We take pride in providing a personal and affordable design service to ensure everyone has the benefit of using an interior designer and stylist on their project. By asking all the right questions and listening to your ideas, we can provide you with personalised, expert advice to suit the architecture of your home and your personality. Jenna Karrer is a certified Interior Decorator with experience in the designer furniture and real estate industries. After completing her Diploma at Enmore Design Centre, she started out in marketing working for Ray White Sylvania, where she gained the knowledge of how homes sell. With this experience along with her interiors eduction, she would occasionally give advice to vendors on what it is about a home that appeals to a buyer, and therefore help their home sell at price they were proud of. Working in the furniture industry has been amazing for Jenna. She interacts with Interior Designers and their clients on a regular basis, as well as retail clients that need a bit of guidance. She has a increased her knowledge of quality products and materials and is constantly stimulated and up to date with current trends in the market. While Jenna possesses creativity and vision, her most important attribute is that she is empathetic in her designs. She is able to adapt to her client or the end user and create a space that is most fitting for them, making Jenna Karrer Design the right choice for anyone. Hemma Interiors is a boutique interior design business, specialising in new homes and renovations and as well commercial design. We offer a full range of interior design, drafting, 3D renders and project management. Having over 18 years experience with residential and commercial fit outs in both Wollongong and Sydney region. I'm currently in a role of assisting with custom built homes with G.J. Gardner Homes Wollongong. From the beginning of design right through the finishing touches, rest assured i can assist you all the way through. Design Code Interiors offers interior design services for both residential and commercial clients, from the South Coast to Sydney. We focus on understanding your ideas to create a personalised space that has a certain magic. We design with you to create beautiful spaces to work, live and relax in. Our objective is to compose a space that is beautiful, practical and engages people. We save you time and effort by ensuring a hassle free, streamlined project infused with a sense of character. Interior designers in Wollongong, NSW, AU and interior architects are skilled at making beautiful, feel-good spaces for people to live and work in, using carefully chosen combinations of paint colours, patterns, fabrics, furniture and fixtures. They will help you to get the look you want first time, and if you’re not immediately sure what you want they help you find it, working with you to design your perfect home. If your space is on the small side, or awkwardly configured, a Wollongong, NSW, AU interior designer can also help you to maximise your living space, using clever tricks to make spaces seem larger or brighter and building in multi-functional furniture and design. Working closely with Wollongong, NSW, AU interior designers will ensure you get a design you love, but also allow you to pick up some of the skills, approaches and design ideas that interior designers use to create their stunning home designs. 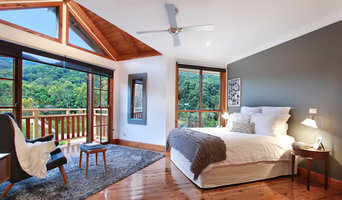 So if you are stuck for ideas, or can’t make head nor tail of how to design your living room, bedroom, or even your entire home, then find interior design companies and interior designers in Wollongong, NSW, AU on Houzz that are ready to totally transform your interiors and make your life easier. These two closely related professions are often mistaken for the same thing, however there are some significant differences to be aware of before deciding which to hire. An interior designer, sometimes known as an interiors architect, can run full renovation and structural design projects, and will use specialised knowledge of interior architecture, construction systems and components, building regulations, materials and furnishings to arrive at your dream home design. Interior design companies are able to plan spaces and room functions down to the last detail, and can help design and renovate interiors, from initial planning phases to placing the last decorative accessory. A decorator on the other hand will typically be involved only in the aesthetic layer, the “look and feel” of a space, and won’t be able to assist in renovations that require structural work. Interior decorators normally come on board after all structural work is complete. 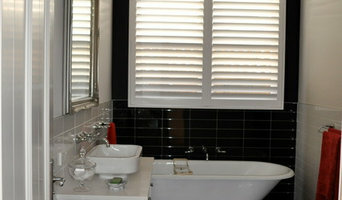 So choose your Wollongong, NSW, AU interior designer according to the type of work you need. Why should I hire an interior designer in Wollongong, NSW, AU? They say life is what happens while you’re busy making plans. Some of us are just too preoccupied with a career and/or family to think about colour schemes, wallpaper, flooring and lighting. A professional interior designer in Wollongong, NSW, AU can save you bags of time, stress and months, if not years, of living in a half-finished home. It’s their job to stay on top of the latest trends and to have contacts and visual references coming out of their ears. Interior designers and decorators can also save you money, sourcing products via trade contacts or offering affordable alternatives to blowout iconic designs. How do I choose the right Wollongong, NSW, AU interior designer for my home? Good design and visual inspiration are all around us. 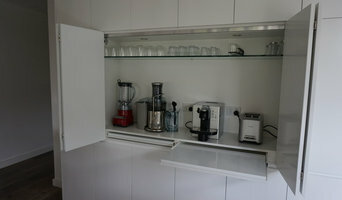 Start by searching for interior architects and interior designers in Wollongong, NSW, AU on Houzz. Keep a lookout for images of rooms and features that you really like and save them to your Ideabooks to begin to develop an understanding of your own style and taste. If you notice that photos from the same interior design companies are popping up regularly then that is a good hint that they could be your perfect design match. You can feel most confident if you hire an interior designer or interior design company in Wollongong, NSW, AU that has completed work similar to the look and feel that you desire, whether that is a mix-and-match lounge oozing mid-century modern style, a pale and interesting minimalist bedroom with shots of colour, or a beautiful space inspired by Scandinavian design. How much does an interior designer in Wollongong, NSW, AU cost? What are some of the important questions to ask Wollongong, NSW, AU interior designers or interior decorators? Start searching for an interior design Wollongong, NSW, AU professional in your area who can bring life to your interiors and reinvent your home for you. Look through reviews, projects and ratings to decide on the best interior designer in Wollongong, NSW, AU for your taste and style.